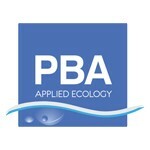 PBA has 20+ years experience of successfully supporting development projects; providing a most efficient ONE-STOP service for all ecological & environmental services for the construction sector, across both TERRESTRIAL and AQUATIC sites. PBA are acknowledged for practicality, problem-solving, and assisting the successful completion of large-scale and sensitive projects (e.g. SSSI, SAC), ON TIME and ON BUDGET. PBA has unparalleled UK experience in the environmental planning and practical management of a wide range of water engineering projects. One recent highly-sensitive project, which was awarded to be delivered over THREE YEARS, was substantially completed by the engineering contractor in just ONE YEAR – as a direct result of PBA’s design input & support. Examples of PBA’s broad range of in-house capabilities include: protected species surveys, EIA, licensing & consents, ECoW/ACoW, fish rescues, water quality monitoring, public inquiries etc. In addition to the usual CSCS cards, PBA deploys in-house project teams to construction sites with water hygiene cards, and qualified in basic water rescue to at least Rescue 3 International standard. PBA are equipped with 4×4, plus a full range of safety and access gear. PBA’s accreditations & affiliations include: ISO 9001 Quality Management Systems, Contractors Health & Safety Assessment Scheme (CHAS), Investors in People, and Achilles. Contact PBA for current details of insurances, working policies etc.